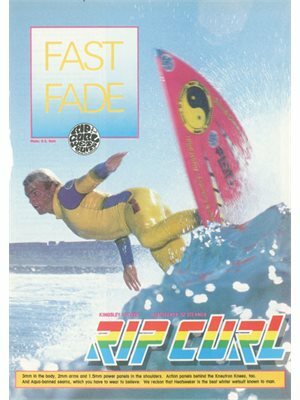 ASB MAGAZINE: Take a journey through time, as Rip Curl look back on some of the biggest innovations in wetsuit technology over the decades. 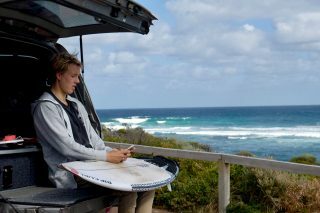 Now in it’s 50th year of surfing at Rip Curl, the company has released a wetsuit that will change the game. 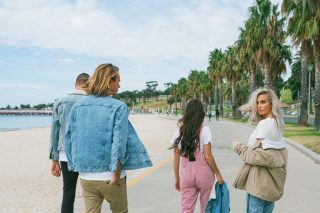 Since the beginning wetsuits have been at the core of Rip Curl – and constantly looking to improve, innovate and push boundaries, has been an underlying principle. 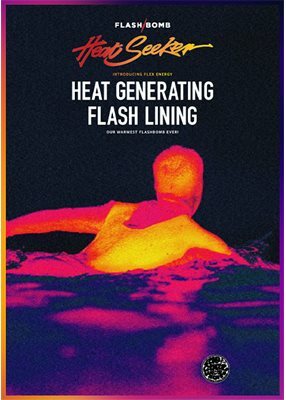 With the release of the Flashbomb Heat Seeker, a revolution in wetsuit technology, Rip Curl decided to look back at the rich relationship it’s had with rubber – the successes, the improvements, and the true lengths that they’ve gone to create the best wetsuit possible. 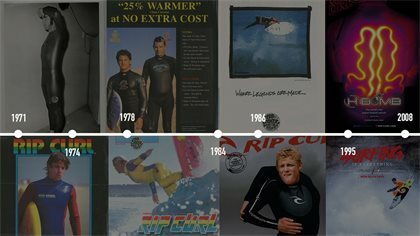 Take a trip back in time as Rip Curl look back at just a few of the key innovations that Rip Curl wetsuits has brought to surfers around the world. 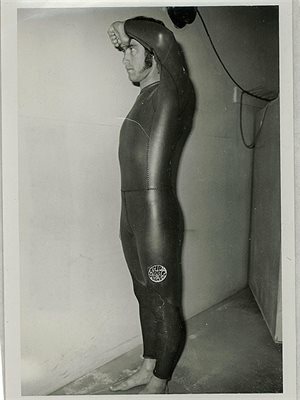 Prior to the under-arm gusset, all wetsuits were made with patterns very similar to clothing – all of which have a seam running underneath the arm. When paddling, that seam would rip up your arm and cause a whole lot of chafing havoc. 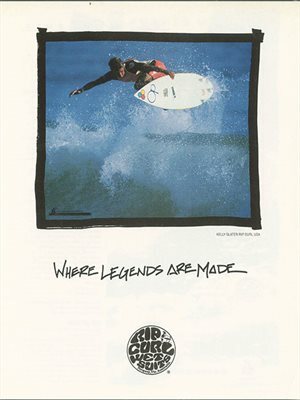 We changed that in 1971 with the under-arm gusset, as seen in the image above of Rip Curl Founder Brian Singer saluting the innovation, free of the under-arm seam. Can you imagine a world without the 3/2? Or the 4/3? Well, up until 1974 this seemingly critical part of the wetsuit buying experience didn’t use exist. A 3/2 wasn’t an option. Nor was a 4/3 or a 5/4. The option of mult-thickness neoprene just hadn’t been thought up yet. Until, that is, Rip Curl’s original Wetsuit Product Chairman, Ray Thomas, walked into a surf shop in California and met a young American kid who asked if we could make him a wetsuit with more flexibility in the arms. Why not make the arms a thinner neoprene than the body? Well, there was no reason why not – and so we did. This was the first waterproof seam the world ever saw, and when it was discovered it changed the wetsuit game. Seams no longer had to leak. Rather than actually puncturing both sides of the neoprene with a stitch, the two panels are glued together and then stitched at the top – the needle never needs to run through the panel in its entirety. The Blindstitched Seam meant increased comfort, warmth and durability in cold water wetsuits – and it has become an industry standard for stitching in wetsuits. Much like the Blindstitched Seam, the creation of Aquaban Seam Liquid Tape meant that wetsuits suddenly became a whole lot more waterproof, and the seams were more durable than ever. 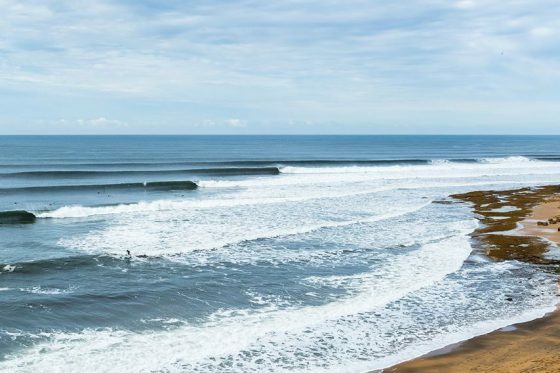 The Tape is essentially a rubber glue that runs over every seam in a wetsuit, and it’s now seen in just about every cold water wetsuit worth its weight. You might not know what The Batwing is, but if you own a wetsuit, it has one. 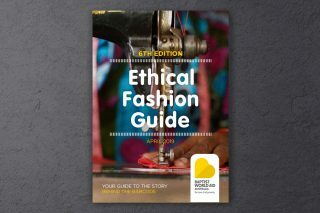 That flap that runs behind the zip? That’s it. But until 1986, it didn’t exist – and zips were a source of great despair for many a cold water surfer. The invention of The Batwing provides greater warmth and keeps water that enters through the zip, away from the body. 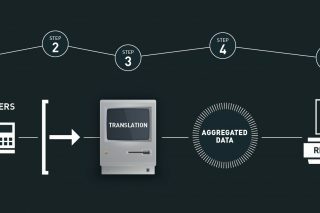 Like many of the above innovations, it is now an industry standard. Prior to The Elasto Wetsuit, Rip Curl has introduced Super Xpandx to the surfing world, which was the stretchiest neoprene that surfers had ever seen. 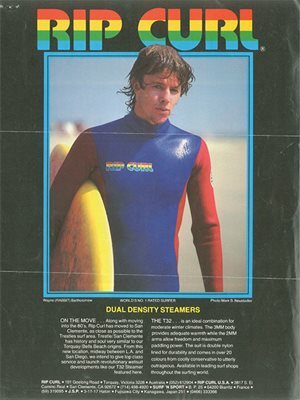 That was back in 1982, and we put this material in the gusset of the wetsuit to create a stretchier hinge for flexibility. Back then that was revolutionary – then a decade later, when the game was changed again. 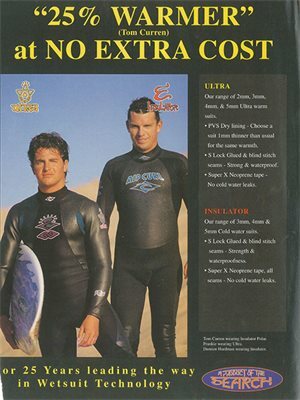 In 1995 we thought, well, why not make the entire wetsuit out of that material? 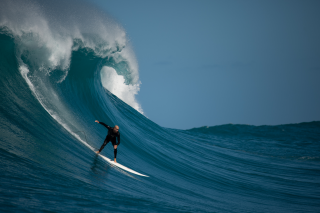 In previous years it wasn’t considered possible – crafting an entire wetsuit with super Xpandx would double the price of the wetsuit, and for years product teams were convinced that surfers wouldn’t pay that much money for a wetsuit. 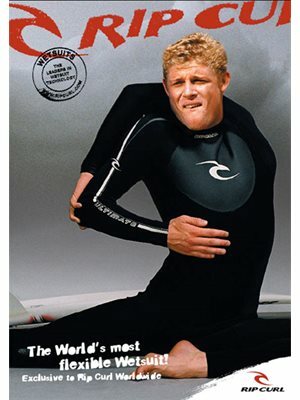 But Rip Curl was committed to making the Ultimate wetsuit, so, we had to give it a crack. We created the world’s first 100% high stretch suit, and we called it The Elasto. For over a year, we couldn’t supply enough Elasto’s for the demand. 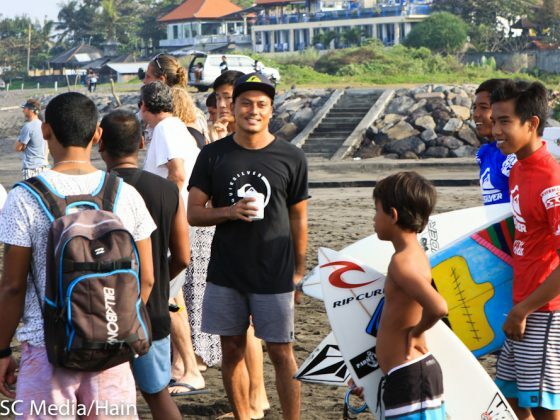 We made it because we believed in it – and as it turns out, surfers did too. This was the birth of modern stretch neoprene. And then, we made a wetsuit with a battery pack. The world’s first power heated wetsuit was the culmination of three years of extensive research and design. The H-Bomb features a non-metallic carbon fibre element powered by two 7.5-volt lithium ion batteries. 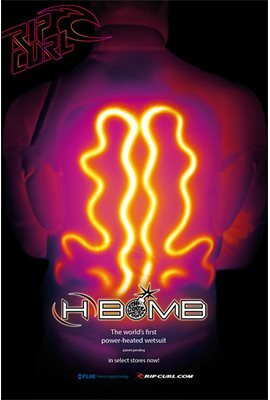 With three temperatures heating up to 50 degrees Celcius, providing heat for up to two-and-a-half surfing hours… the H-Bomb was the beginning of the future of cold-water surfing. And in part, it was a success. Commercially, it didn’t do as well as expected – but, it set foundations for the evolution of rubber technology. It got us thinking about how we could stay warm in a wetsuit without relying solely on the body’s insulated warmth. Back in 2009, just after a range of wetsuits went to market, the Rip Curl wetsuit team assembled on the roof of Torquay HQ and said… “Ok, what’s next?” There were a few ideas pitched, but it was decided that we would find a way to create a really fast drying wetsuit. After all, there’s nothing worse than putting on a cold, wet wetsuit – and in the icy winter waters of Winkipop and Bells, the Rip Curl crew learnt from experience. On the roof in 2009 was when the concept was first formed, and it took three years and seven generations of material to create it – but what we engineered was the World’s Fastest Drying Wetsuits – The Flashbomb. 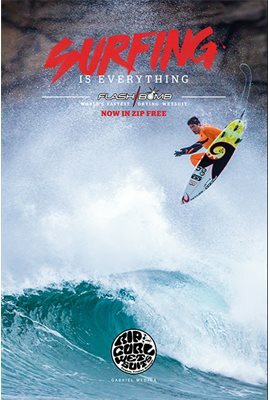 Which brings us to today, the release of the Flashbomb Heat Seeker. Remember what we mentioned with the H-Bomb? Starting to think about creating a wetsuit that didn’t rely solely on the body’s insulated warmth? Well, we found a solution. What we found was Flex Energy, a revolutionary neoprene that generates heat when stretched – so as you move through the water, the Flex Energy lining activates and heats the wetsuit. If you stay active, you stay warm. This is the Heat Seeker. 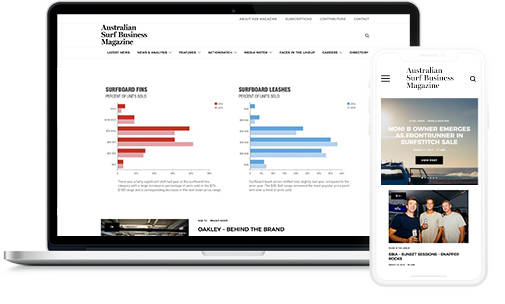 And it’s Rip Curl’s latest wetsuit revolution, in a long line of innovations that have changed the game for surfers around the world. Now the only thing to ask is… what’s next?